These neighborhoods are generally referred to as “Nordeast”. Located along the east bank of the Mississippi River, this area links downtown Minneapolis and the Northeast Arts District and boasts some of the best views in town. 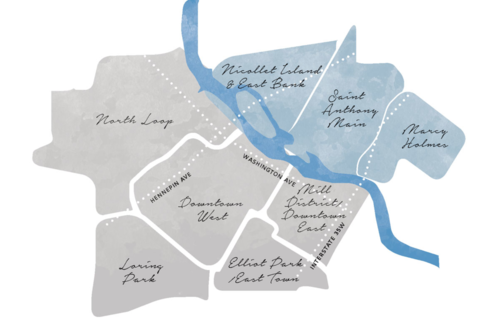 This area represents a wide spectrum of influence and history, from the original Native American settlers on what is now Nicollet Island, to our modern-day settlers in condos and townhomes. The arts, food, history, education and culture provide a well-rounded environment for all who live and work here.